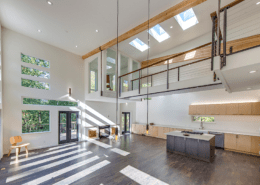 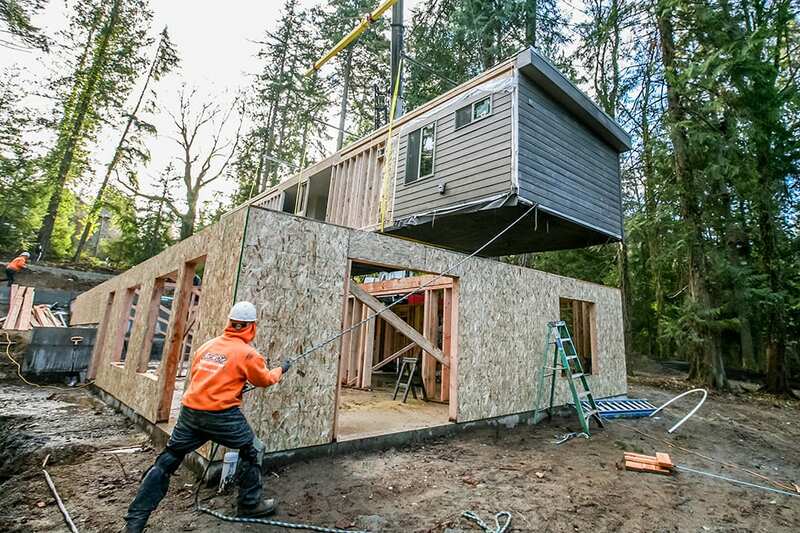 The concept of a “modular” home speaks volumes for sustainability. 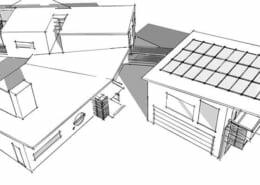 Manufacture within the factory ensures that waste is minimized, as all materials are carefully sized with computer-guided cutting tools. 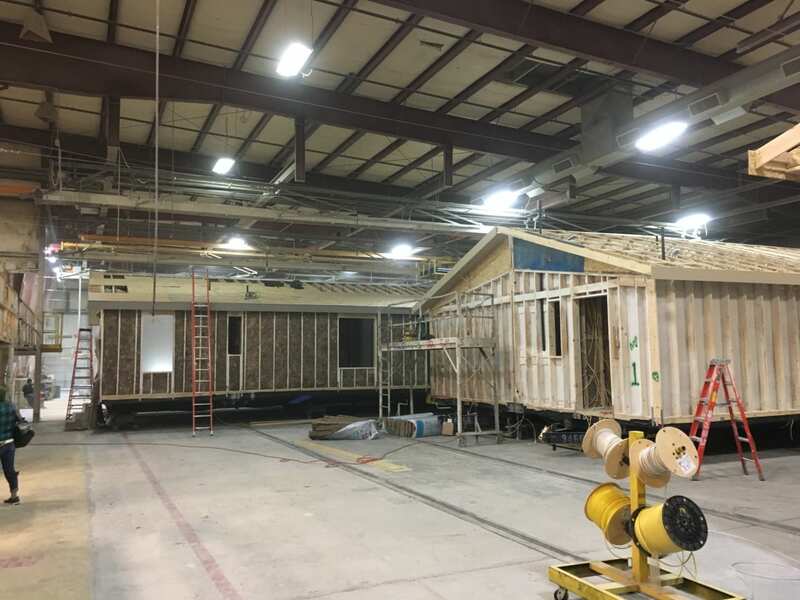 With all phases completed within the controlled factory environment, reuse/recycle is optimized. 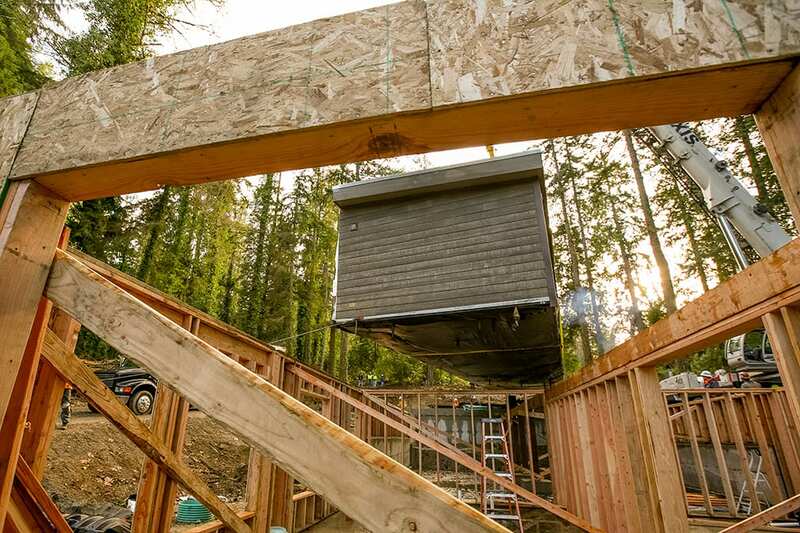 Construction standards and control are extremely high. 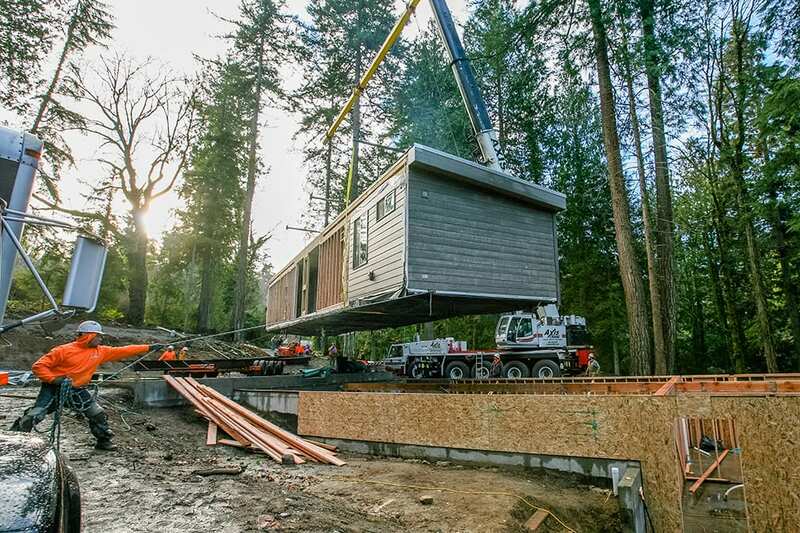 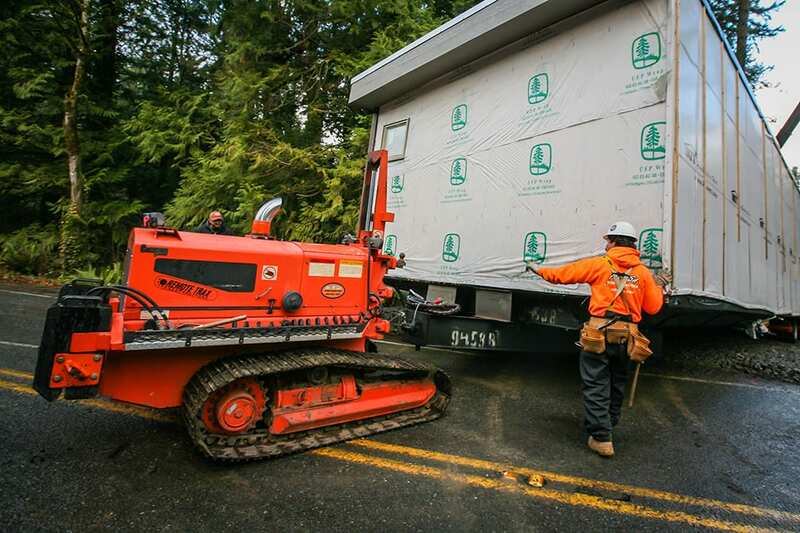 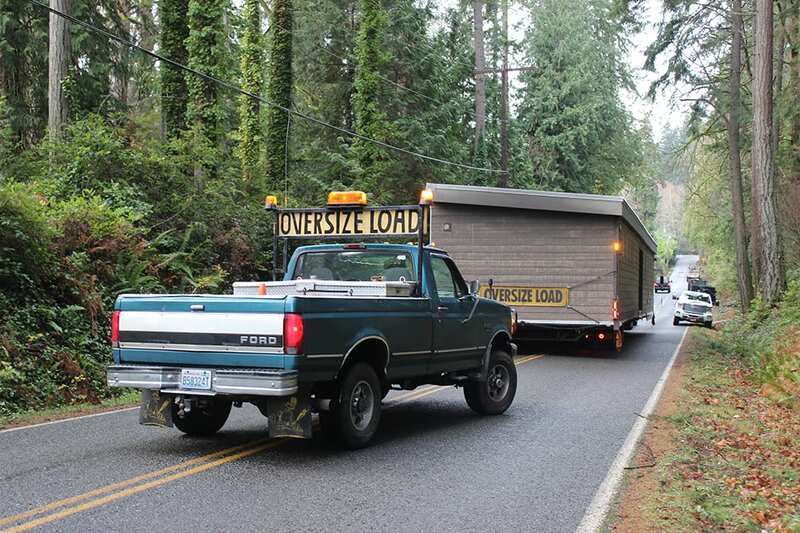 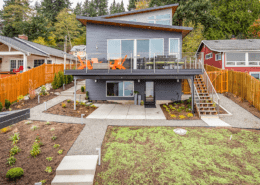 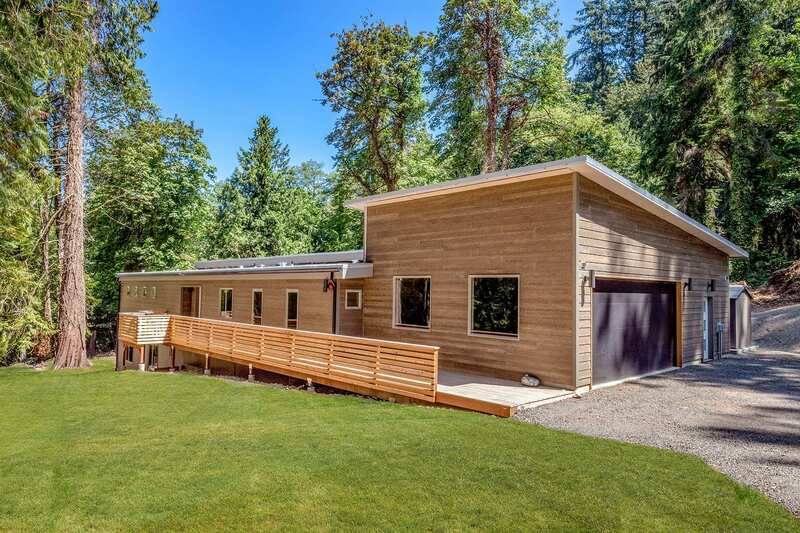 So too, longevity – this 2,100-square-foot modular was built solid to withstand transport to the home site near Murden Cove on Bainbridge Island. 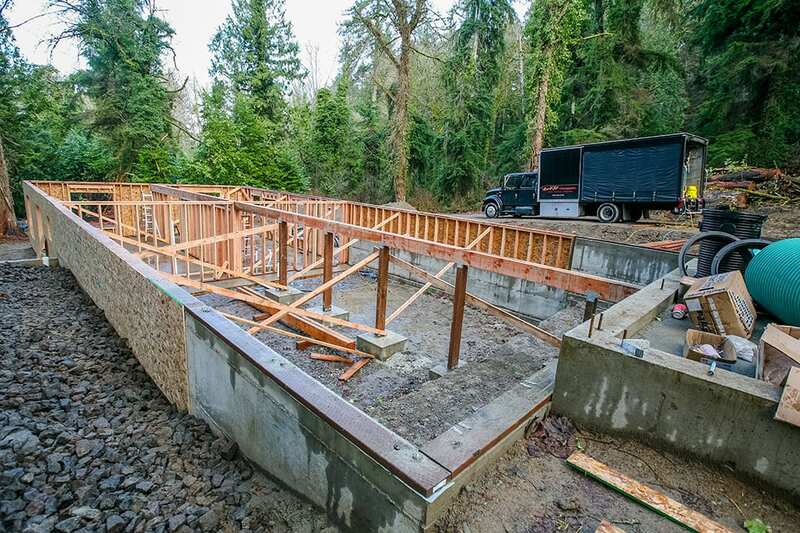 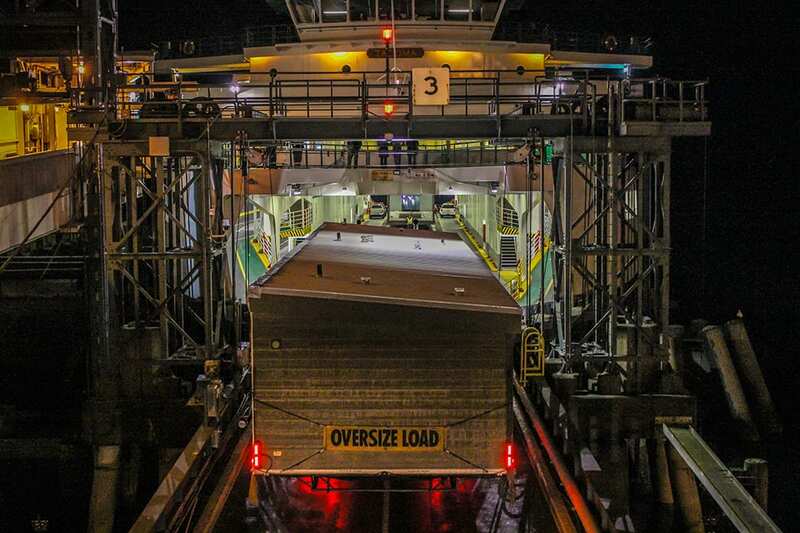 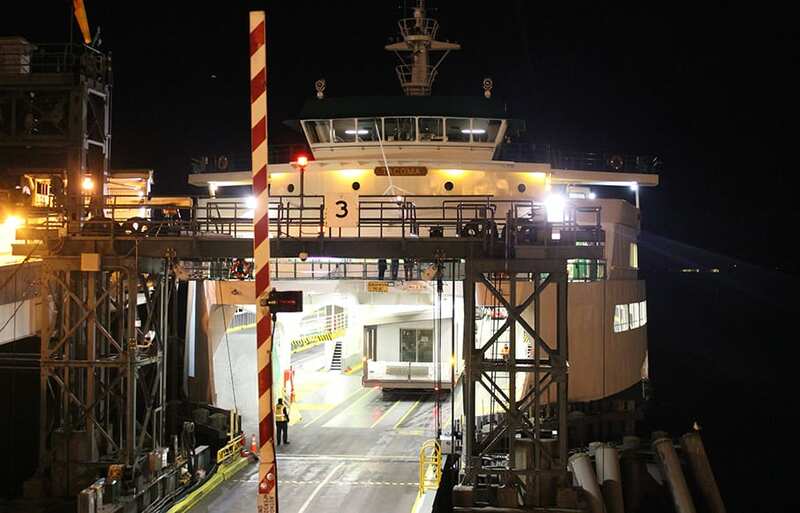 The home arrived in two halves via ferry from Seattle, and was trucked and craned onto the waiting foundation and daylight basement. 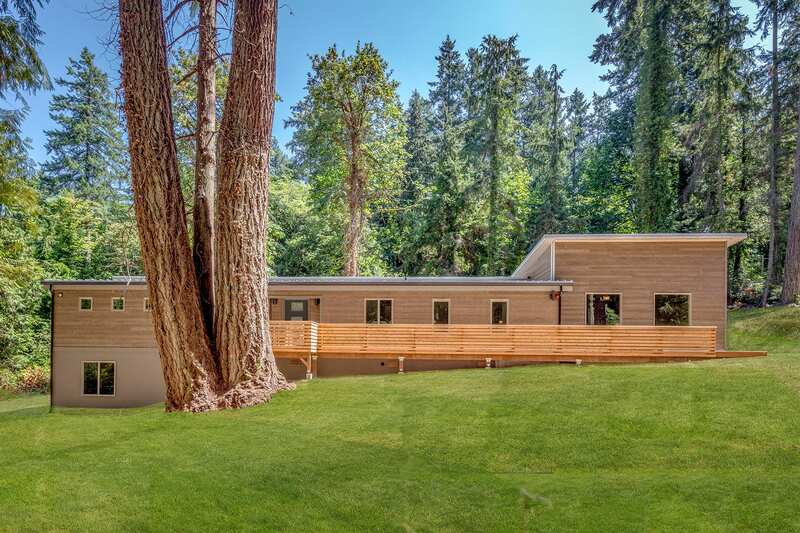 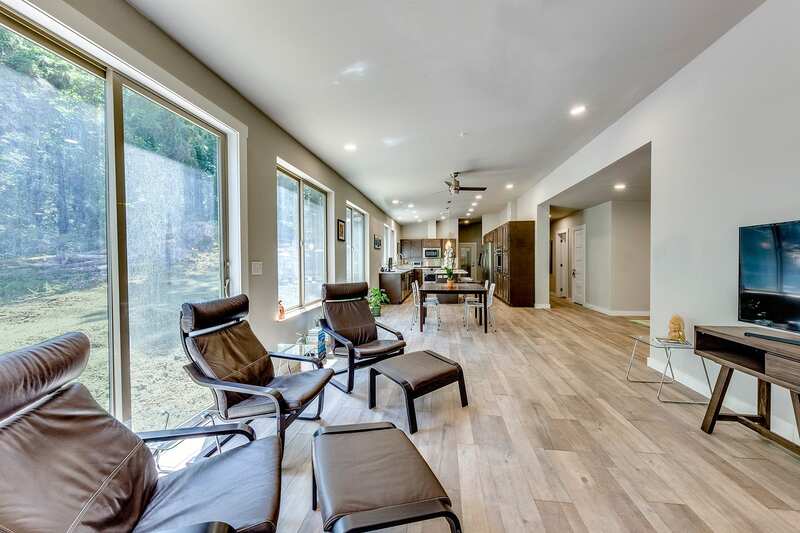 Design and layout minimized intrusion into the beautifully wooded lot, giving the owners a beautifully crafted and environmentally mindful home.